Cross-Origin Request Blocked: The Same Origin Policy disallows reading the remote resource at https://–domain–.cloudfront.net/wp-content/themes/Extra/fonts/ET-Extra.ttf. 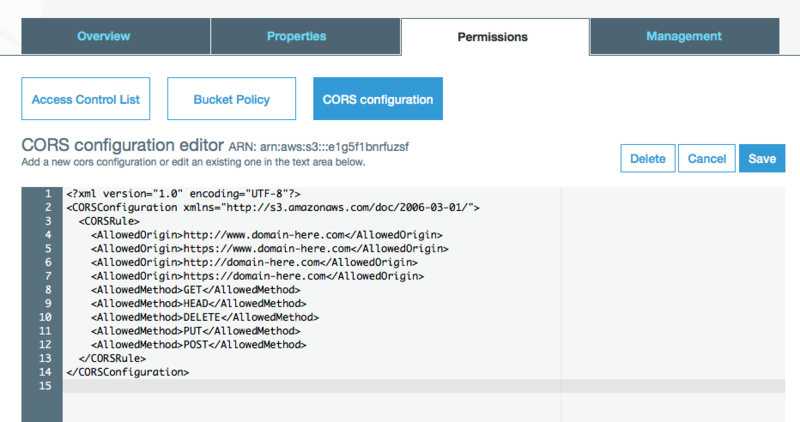 (Reason: CORS header ‘Access-Control_Allow-Origin’ missing). The issue was checked and found in all major browsers on macbook pro: safari, chrome, firefox. So here I’m going to explain what I did that didn’t work, and what I did which worked. What worked, was actually the step 1, but with different settings. You might need to purge the file from cloudfront cache (only invalidating the file which you’re trying to set CORS for will be enough). Do this step only if you’re seeing the error after completion of the above steps and clearing the cache. Let me know if you’re unable to fix the issue and want me to help you with it.